The temporary bike lane and parallel parking along the south side of Dewey Street have been removed. You can read more about the survey results here. Residents will see exciting changes to downtown Foley this summer. A temporary bike lane and parallel parking will be constructed along the south side of Dewey Street. The demonstration will begin in early July and is expected to continue into August. 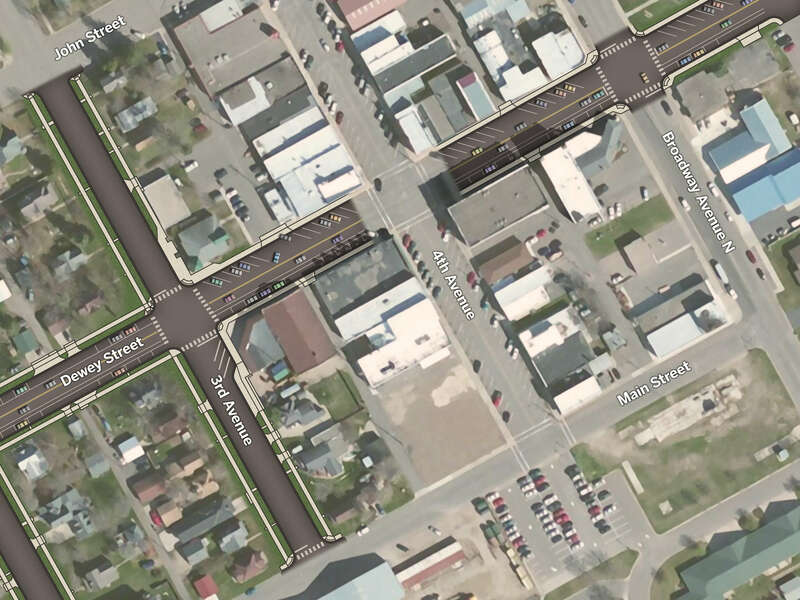 If successful, the changes may be included in the Dewey Street road project anticipated to begin in 2018. Demonstration project coming to Dewey Street in downtown Foley. The project will be funded through a grant from the Statewide Health Improvement Partnership (SHIP). SHIP funds are given to organizations that are trying to improve physical activity and/or nutrition within a community. The project was approved by the Benton County Board and will be completed by the engineering firm SEH, Inc.